loved ones can often be difficult. Parkinson & Bouskill specialises in quality monumental masonry which includes the making, repair and restoration of headstones and other memorials. 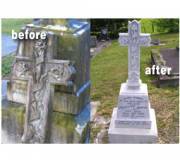 Our highly experienced monumental masons have been creating headstones (also known as gravestones and tombstones) and memorials for families in Auckland since 1886. This makes us one of the oldest businesses still operating in the region. Today, we have six showrooms located throughout Auckland, and one in Tauranga combining traditional values with modern technology to create individual memorials for that special person. We are here to help you meet your memorial requirements and, above all, to provide you with specialised creations and services. Our granite is imported directly and all of our products have a quality guarantee. View our memorials and headstones. 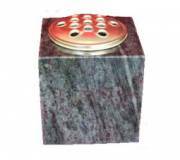 Parkinson & Bouskill offers a range of the finest quality memorials and accessories. Our expert monumental masons craft our products from top-quality materials. 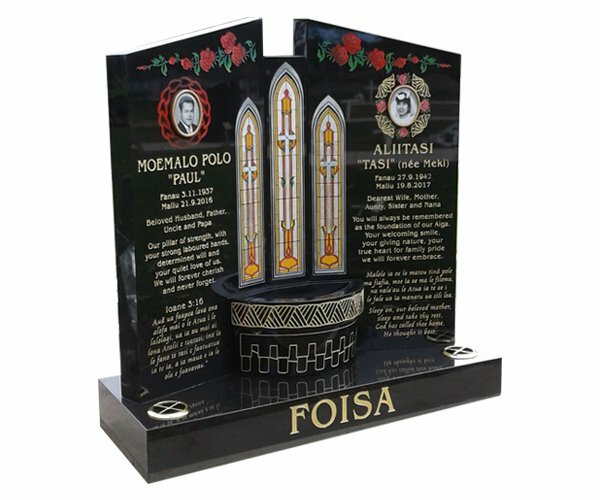 We use traditional and modern craftsmanship techniques to create a comprehensive range of headstones and monumental masonry in accordance with the preferences of our clients. Our service is New Zealand wide and we export to the Pacific Islands. We provide “no obligation” quotations for the completed price of your memorial, without any hidden charges. If you have specific requirements, we have the expertise to design a custom memorial in accordance with your wishes. If you’d like to enquire about our monumental masonry, headstones and other services, please contact us by phone on 0800 733 433 or via our contact form. Speak to our experts directly and discuss your design ideas; we’ll be happy to offer advice and work with you towards your desired, final product. 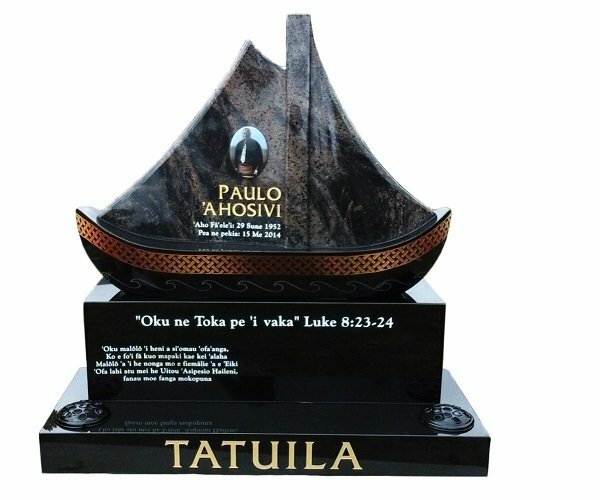 You can also visit one of our showrooms in Auckland or Tauranga to see our extensive range of memorials firsthand. I just popped down to St Pats - thank you so much. Mum's headstone looks beautiful and it means a great deal to us to have it in place in time for her anniversary. Many thanks again. On behalf of my family and on my own behalf I wish to thank you most sincerely for the excellent work done on our uncle's grave plaque which you recently installed in Mangere cemetery. My nephew who lives in Sydney was responsible for all the business around getting the plaque installed so you can imagine how happy we all were to have his grave marked for all time. He probably told you that we live in Ireland so it was very convenient that he undertook the business of getting the plaque in place. He sent us a picture of the finished plaque and we are all delighted with it. Thanks again for excellent workmanship. I wish you and your family a very happy Christmas and many blessings in 2019. Just a quick note to say thanks for the beautiful headstone for our Mother. It was wonderful to look at and Mum would have been proud. Much comment was made by the family and old friends at the unveiling today about how they all liked the chiseled edge to the stone, and the overall effect this had on the base as well. Also the photos were also receiving of great praise, and how wonderful they look and the quality of the work, but also the memories they bring to all who were there today, and those that will be there in the future. Oh my goodness, Parkinson and Bouskill are so kind to provide such a beautiful gift, and I am truly humbled by it. Could you please send our heartfelt thanks to all. From our first face to face meeting and continuous email contacts, the experience has been amazing. Your outstanding professionalism and can do attitude to our needs has my family and I blessed to have you assisting us. We went over to the Cemetery last Sunday and viewed the memorial plaque on the family grave. It looks wonderful, you have done a fine job for us. We are thrilled with the finished results. Thank you so much for all your efforts, you made it all achievable for us. I want to thank you for the fantastic plaque and vase you installed on our mothers plot. All the family commented on how lovely and sharp the plaque looked and it was much appreciated at the unveiling on Sunday. Today we did dad's ashes and I just want to say on behalf of our family how thrilled we were with the rejuvenated headstone. Please pass on our thanks to the craftsmen who did it. We were blown away by it and so thrilled. Thank you thank you. On behalf of myself & my family we just wanted to let you know how impressed we were when we saw our daughters' headstone. You guys did an awesome job and it was exactly what we wanted, we received a lot of compliments from family & friends. So please pass on to your colleagues how grateful my family are for their hard work. The headstone was perfect. I also want to thank you for the service and advice you gave during this process. My family and I were blown away with what was produced. Thank you a million for everything. A BIG THANK YOU TO YOU AND STAFF AT Parkinson & Bouskill. We had the unveiling on Saturday and it went well. I have enjoyed our working relationship regarding our family tombstones over the years of dealing with your company and will return again. My sister said she is going to go to your branch at Glen Eden when she needs anything to do with tombstones. From the bottom of our hearts, your team did an amazing job on our mother’s stone and we are so grateful. Thank you for making the process so easy at a difficult time and your professional attention to detail was much appreciated. Her stone looks fantastic and we are so pleased to have your team involved with the process. I would like to say a big thank you to you and your team for the wonderful work done on my parents headstone. I am so delighted with it. We just wanted to express our thanks to all the team, for the headstone, and it's installation, for my father's grave. We visited it just over a week ago, and my mum was very much pleased with it. She asked me to email, and express her, and our thanks. The headstone is beautiful – so thrilled! Thank you so much for your help. It was such an easy and stress-free process. I am really happy and glad that we used Parkinson & Bouskill. Have a good day and all the best. We want to express how grateful we are for your services, we are in awe with the marvelous job your team have done for our family. Thank you very much for going the extra mile on changing items in a short amount of time, we appreciate what you have done with the numerous short meetings and threads of emails. We highly recommend to our family and friends to use your services. Thank you for your services, I have much pleasure in letting you know that all whanau and friends were overwhelmed with Mum and Dad's headstone, I too am extremely pleased. I thank you especially for your sensitive caring professional services. I have no hesitation in recommending Parkinson & Bouskill to whanau and friends. Thank you so much, you have been so amazing throughout this whole process. The stone looks beautiful and I am sure my husband is so proud of what we have achieved. A small token of our appreciation for making this entire process smooth and stress free. Your support and guidance throughout as well as your patience and understanding has been outstanding. You have been great to deal with. Cheers! By chance I stopped down to see Mum today and I was oh so pleasantly surprised to see the updates on the headstone. It is beyond perfect you have no idea. The garnets look exactly like garnets and the side vases look great. From the bottom of my heart I want to say thank you. We would like to thank your company, artists and especially you for your care, effort and wonderful job you did with my Mother's headstone. I would highly recommend your company. Once again, your time was appreciated. Its taken me a while to find the right words to express my pleasure and absolute joy at the work your team put into my Dad's Headstone. I still don't have the right words but I do not want another week to go past without me sending you a note of gratitude of how beautiful his headstone is. When it was unveiled, the ahh's & ohhh's that were murmured throughout the crowd was a positive sign followed by lovely compliments by family and friends. Please pass on my thanks to your entire team. Its been a pleasure working with your company and I will be recommending your team to all. Thank you so much for placing our headstone on time. My brother was thrilled ! The silver and design are perfect, as is the granite block. We are so grateful for the care and attention of the team that put it together. The plaques look fantastic! We are all appreciatively proud of the tremendous skills of the artwork on both - especially Mum's! Thank you so much for your efforts and excellent services regarding the above job number! We could have not been more happier with the end result, you have done us proud and will definitely come to you for future arrangements. Fantastic to deal with passionate people who take things personally. Wishing you all the best. I just want to thank you so much for Mum's plaque. The family were delighted with the result & I know you did us a big favour by getting it finished in time. The day went well for us. Once again a very big Thank you. Hi Trevor, many thanks for your attentive proof reading and the completion of the Headstone. The family are very pleased with the standard of workmanship. Its also helpful to have completion before Christmas, thank you Trevor. Thank you so much for the photo, its so beautiful. Our family were very impressed and they loved the headstone. So I would like to take this opportunity on behalf of myself and my family to say a huge Thank You, to you and your team for all that you've done. I'll never forget the wonderful service provided by yourself especially in dealing with me changing my mind here and there throughout the whole process. Please relay our sincere thanks and appreciation to your management team and staff for taking care of my dad's headstone. Take care and may God bless you all for the work that you do. The whole family had time at my wife's gravesite yesterday, being the anniversary of her Birthday, and we were all delighted with the headstone, so wish to thank you sincerely for your guidance regarding the set-up of the wording and other aspects, such as the rose which everyone was very delighted with. Many thanks again, Trevor, and best wishes for Christmas, and for the coming year. On behalf of my family, we want to give thanks to you and Parkinson & Bouskill for the sterling service in assisting the family with the completion of the double headstone of my mum & brother. The unveiling for them both has been a long and challenging journey. They both can rest in peace now. Many thanks again. Have a safe and joyful Xmas. Kia ora to the staff of Parkinson Bouskill, Can I please pass on a big huge "Thank You” from Michael Pene's whanau. The day was lovely, the headstone was beautiful and the unveiling itself was awesome. Thank you for being a part of our day and for the great service. Uncle Tom's grave stone is just fabulous. Thank you thank you thank you. It is perfect and Mum is very grateful. You've done great work for us this year, organising my Dad and my Uncle's grave stones. May you be rewarded with a lovely peaceful Christmas full of joy. Thank you, it looks fantastic. Again thank you so much for making things really "stress" free for me. I have really appreciated your help. I still remember walking into your office and feeling that I had found the right place to sort things out - I felt really at ease. Then days later (or so), you advised me that P&B did my father's work - how canny is that... Have a fantastic day and enjoy the Easter break. Take care. Dear Shona, We went out this weekend for the unveiling - it was lovely. You all did a fantastic job, thank you. Take care. Please convey to your staff my thanks and gratitude for a memorial that exceeded my expectations. It's a beautiful piece of craftsmanship which my family is immensely pleased with. Thank you. Hi Trevor & the gang, Just wanting to thank you all so much for all the work you put into my husband's memorial stone. It turned out exactly how I pictured it in my mind. It was absolutely stunning and when unveilied, you could hear the gasps of "WOW". Amazing was the most common (and apt) description throughout the day. The whole event was an absolute success and it all started with the stone. So, thank you everyone for helping me to create a perfect and fitting tribute to my husband. The family would like to thank you and your firm for the excellent job that was done to prepare our mothers granite cube vase holder with her inscription. Kia Ora, Thank you once again for your expertise in guiding us through this process. Everyone loved the memorial and the whanau were very happy and impressed with the end result. Naku noa and thank you once again for all that you do.